Shazam! Add some lightning to your life with the electrifying Shazam! 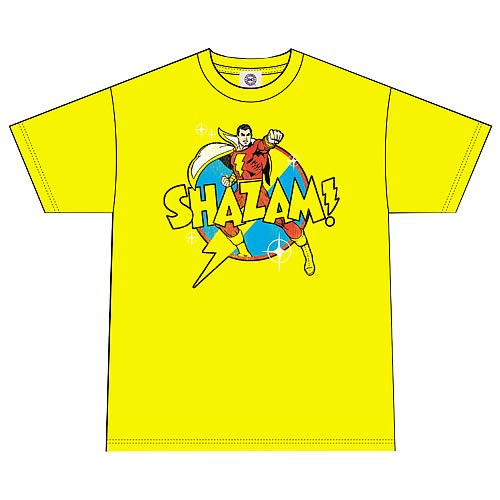 Celebrate the golden age of DC Comics with this 100% cotton, high-quality, pre-shrunk, machine-washable, yellow t-shirt. Order yours today! Available in S, M, L, XL, and XXL sizes.